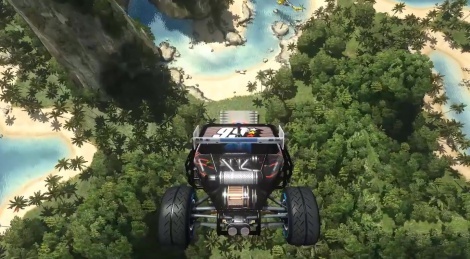 In this new video of Trackmania Turbo, Ubisoft focuses on the Lagoon environment and on the "Double Driver" mode, 2 pilots for one vehicle. Oh cmon .... "dude" .... give them a chance! They are TRYING!!!! .... ? That really wasn't that bad. I don't get people who get up in arms about that kind of stuff. As someone who spends most of his gaming time either on Skype or Teamspeak with friends engaging in communication while I play games with those friends, this stuff doesn't bother me. A couple of cheesy jokes in this one but otherwise it seemed fine. Got a few chuckles and helped explain the systems in play. 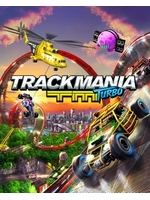 I actually laughed out loud at "DJ Loop Sequencer enforces the feeling of competitive games... flow... this helps racing in the zone". As if music has got anything to do with it. does it has cockpit view and wheel support?